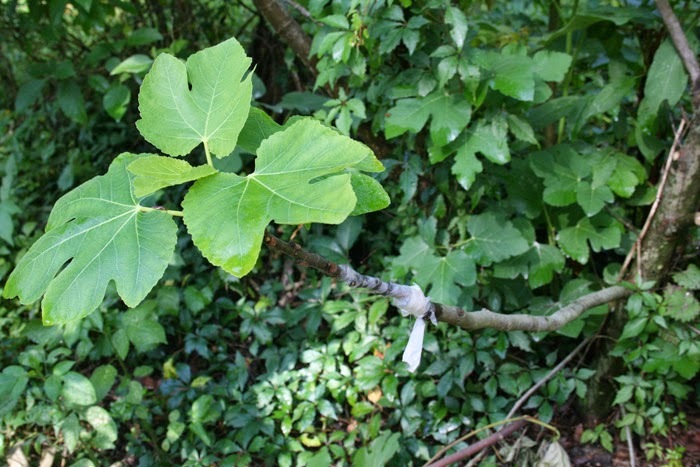 Florida Survival Gardening: A successful fig graft! That's a cleft-grafted Texas Everbearing fig added to an unknown variety I planted a few years ago. The tree produces large yellow figs in very limited quantities. It's really not very productive considering all the space it takes up so I've decided to start tacking other varieties onto it. Interestingly, the scion's cambium layer is only lined up on one side of the cleft graft. 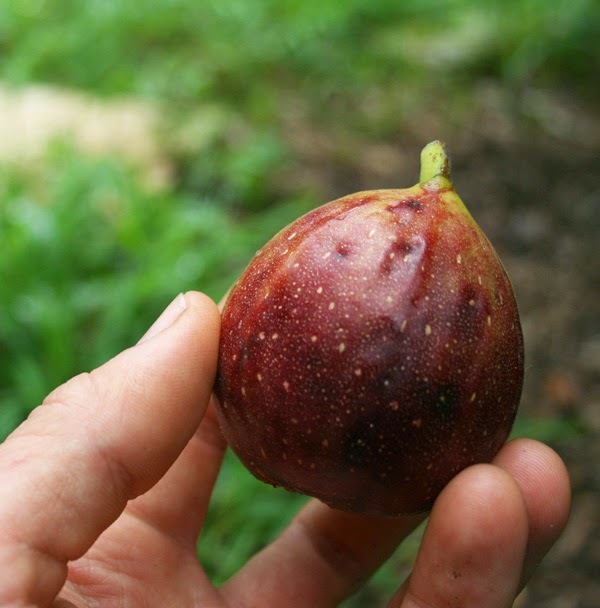 I had heard this would work but it hadn't worked on any of my fruit trees (except apples) until I tried it with these figs. They produce like crazy, too - a lot like the smaller-fruited Brown Turkey variety. We'll see how these grafts do as they mature. If you want your own Texas Everbearing fig, the only place I've ever seen them for sale is at Taylor Gardens Nursery. I highly recommend you pick one up if you get a chance.